The “Ferris Wheels Saga” (or “World on Wheels Saga”) is essentially a series of unpleasant, unwarranted and inappropriate communications from Ferris Wheels to the participants in their 2010-2011 tour of Nepal and Bhutan; and my attempts to seek some redress for them. From soon after this saga unfolded, I had expressed my dismay about it on my Meanders Abroad page. I had also emphasised from the outset that, for my part, my embarking on a tour of the Himalayas with a company other than Ferris Wheels was in no way a reflection on their tour. I had spelt this out at some length on my Himalaya page and reiterate it on this page. For me it was a very personal inner jihad with my own fears. I hadn’t initially expected to write in detail about my experience. Perhaps I had optimistically thought that all the issues would be resolved, as they could easily have been with a few simple and well-deserved apologies from Ferris Wheels. But that never happened. In fact, a bit like the story in Exodus: the more Moses tried to resolve the issues with reason, the harder Pharaoh’s heart became. I finally felt the need to put the stress behind me. My therapy was to write this page so that I could look to the future and continue to enjoy motorcycling in amazing places. Well, that’s an interesting question. I’m not even sure of the answer. But I’ll try to explain. A lot more will become clear by the time you read this page. For starters, I was a passive recipient and observer. I had been on the receiving end of emails from Ferris Wheels that were surprising, to say the least; and, in my view, offensive. But I did not reply. Then I discovered others – suspects – had received emails demanding to know if they also were traitors. One such suspect had expressed his dismay and dissatisfaction for past treatment; and was consequently subjected to foul-mouthed abuse. I took no role in any of this. 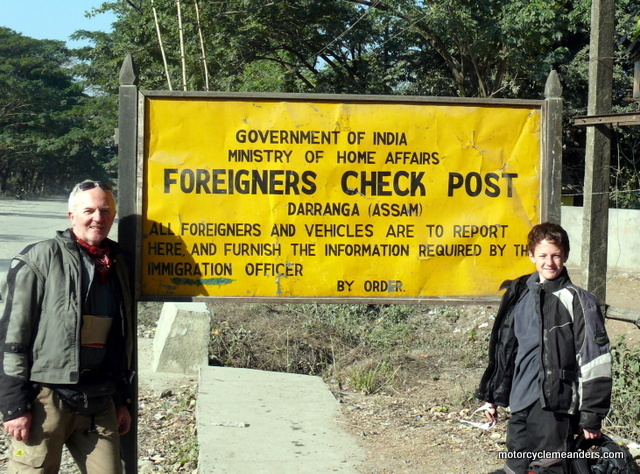 I remained a passive observer until Mike took the initiative to phone me wanting to know why I was doing the Himalaya tour with a company other than his. My response to him was conditioned by two streams. One was clearly the awareness of what was being said and implied in several emails from Ferris Wheels and the reactions of incredulity and offence from recipients (and others not directly involved but to whom emails had been copied); the other was the fact that this was not the first time I had been on the receiving end of totally unwarranted and inappropriate emails from Ferris Wheels (more on this later). My response to Mike’s phone call was to decline to discuss the issue with him on the basis of my past experience with him; but I did offer to talk to him about the way he treated clients. I also pointed out to him that I had already spelt out on my Himalaya page why I had opted to do the tour with another company; and there was no more to say on that aspect. Regrettably, some issues were left unaddressed. I rang back next day or the day after to seek a resolution, expecting that that might be the end of the saga. And life could then move on; and I could look forward to the Andes tour the following year as I had planned. Well, none of that happened. Mike had already taken off to conduct a Morocco tour. Denise was left to manage the office. A three-way discussion ensued. As it turned out, Denise was unaware of some of the communications. That didn’t help. Nothing got resolved. I should say, however, that I had – and have and always have had – nothing but the highest admiration for Denise’s professional values and standards; and for the effort she made to resolve the issues satisfactorily. If I have in any way put undue stain on her, I deeply regret it. But at the end of the day it was a Ferris Wheels issue. Never in my professional life or at any time in my dealings with service providers or clients have I ever had a permanent falling-out. Until now. I’ve had many vigorous disagreements but the outcomes have invariably been resolution of the issue or issues; and a renewed mutual understanding and respect for views and positions taken. But not this time. I’m still dismayed at what has happened, why it has happened; and why the adverse consequences – mainly for Ferris Wheels (World on Wheels) – were and still are allowed to fester without remedy. I've undertaken five ferris Wheels tours: Rajasthan (2007), Turkey (2008), Morocco (2009), Dalmatia (2010) and Nepal and Bhutan (2010-2011). It’s obvious that far from having a problem with the Ferris Wheels product, I have embraced it again and again. 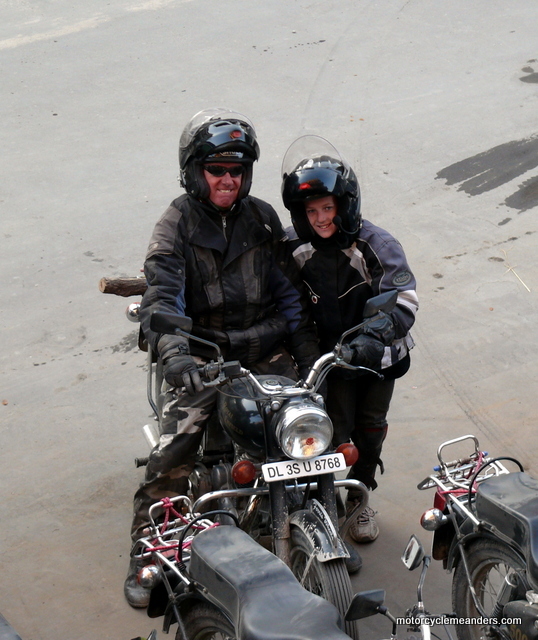 On their introduction of a revamped tour combining Nepal and Bhutan, I signed up to do the inaugural tour and took my then 13-year-old grandson as a pillion. That’s a strong vote of confidence and approval. I have consistently found the Ferris Wheels experience enjoyable, rewarding and enriching: both the tours themselves and the network of good friends made. I still regard myself proudly and gratefully as part of the Ferris Wheels Diaspora. It’s gratifying that some of my best friends have evolved from from Ferris Wheel tours; and that will never terminate. I’ve been happy to make a contribution to the positive experience of other participants through the production of guides to the history, culture and sights of countries visited; and to the business interests of Ferris Wheels through descriptions of the tours on my website. Participants have been grateful and complimentary; and Ferris Wheels has acknowledged and expressed gratitude. The essence of my crime, I believe, was to hold Mike Ferris to account for the way in which he treated clients, including myself. There were processes and communications revolving around that; but the nucleus of the saga was accountability. I was accused of being on a crusade. If so, then the Holy Grail of my crusade was no more than an apology from Mike Ferris for the way he treated his clients. By the conclusion of the Shining Shangri La tour, there were only two Ferris Wheels tours that I hadn’t done: Himalayan Heights and Awesome Andes. I had long had a mental block about the Himalaya tour. It was just a personal hang-up: too hard, too scary etc. Later in 2011, ironically as it would turn out, I was pretty much committed to signing up for my 6th Ferris Wheels tour: Awesome Andes. It had taken a while to get there, but I had already become absorbed in research on Machu Picchu, the Nazca Lines, and Cusco. That would be my 2012 tour! The intervention that thwarted that plan was an overture by fellow Ferris Wheels travellers from the Shangri La tour to join them on a crossing of the Himalayas. It happened to be with a tour operator other than Ferris Wheels. My initial response, not surprisingly, was negative. No way! Maybe there was something deep inside me encouraging me to face my demons on Himalaya because I slowly came around. None of this process – not the overture, not my thinking about it and certainly not my succumbing to it – was in any way a reflection on the Ferris Wheels Himalaya tour. For me, the decision to undertake the tour was closely personal. Primarily, there was the encouragement and anticipated support from fellow travellers who had been very supportive during some difficult riding on the Nepal/Bhutan tour; the tour was shorter and slower – ordinarily hallmarks I might have preferred to eschew, but in this case were enticing; and the group would be small – again ordinarily not an issue, but comforting in the circumstances. These factors provided a seemingly unique opportunity to prove something to myself, so, after much soul-searching and almost meditating on every turn on Google Earth, I committed. At the time, I thought Awesome Andes could wait until 2013. I had gathered significant material on it (some of which I sent to other 2012 participants) and had been sufficiently sparked by it not to let it slip off the forward plan. Imagine being in a well-leaned corner, looking as far around as you could, toes on the pegs to avoid scraping on the bitumen; then as the radius of the turn further decreases and you counter steer a little harder, a B Double spread across the width of the road is accelerating right into your already committed turn line. You notice the co-driver isn’t even looking and the driver seems to be watching his rear-view mirror. A bit unexpected! I thought I was riding pretty well: looking forward to a challenging and exciting crossing of the Himalaya; and a plan already fast developing for the Andes in the following year. Then came that B Double in the form of an email from Mike Ferris to all his clients from the Ferris Wheels Shangri La tour, in effect, castigating us all but singling out a couple of clients by name for even more specific criticism. This was closely followed by a second email disassembling responses made by the named clients. These are some some excerpts from the emails. Other emails were sent to several of the Shangri La clients seeking to discover whether they were undertaking the tour with the alternative provider! One of these Ferris Wheels clients expressed dismay at the question and raised several issues that had troubled him from the Shangri La tour. This is the reply he got from Mike Ferris (warning: it's R rated!). Somewhat stunned and hardly believing what was happening, I wasn't planning on intervening. I was sharing with others the shock and dismay we all felt, but was at a loss to know what to do. That was resolved for me my Mike Ferris himself who rang me wanting to know why I was doing this “other” tour. I declined to discuss the matter with him, citing the lack of any compromise or rapprochement achieved during a previous discussion with him over what I regarded as an inappropriate communication (in fact, I had previously twice been on the receiving end of inappropriate communications from him. This was the other time.) I drew his attention to the fact that I had long by then had an explanation on my Himalaya page of why I was undertaking the tour. This was still a few months before the tour. That explanation remains as part of the page describing the tour. I also said I was happy to talk to him about the way in which he treated his clients, citing the emails that had been floating around. The conversation didn’t end productively. I rang back a couple of days later to seek to resolve the issues but Mike had left for the Morocco tour. Quite a stash of communication followed with Ferris Wheels under the restraints of one partner being in Sydney and one overseas. My consistent message was simply that Mike’s treatment of his clients was inappropriate and he should retract the very unpleasant things said about and to named individuals; and apologise to his clients. I wrote an “open letter” to Mike to put on record what one previously valued client's thoughts. This is a one-page letter that encapsulates the suite of issues. Nothing productive ever emerged. In fact, for my efforts (my “crusade”) I was struck off the Ferris website and all mailing lists, invites etc. I’m sure my identity would have been totally erased if that had have been possible. There would have been no total recall for me! There has been much to value from my tours with Ferris Wheels – and personally with Mike and Denise. In expressing some regret to Mike for his actions, I warmly and gratefully acknowledged his public apology on an earlier occasion when his actions were less than what one would reasonably have expected; and the care and attention he gave to Dylan (my 13-year-old grandson) during our Nepal/Bhutan tour. It might help to fill out the picture by seeing what I said to Mike about these aspects. My letter to him on this is here. Just read the highlighed bits - the rest is covered in references above. I suppose Holly Martins could have been regarded as being on a crusade in his search for Harry Lime. He had thought Harry Lime was a good friend and cherished colleague until Harry revealed his real intentions during that dramatic Ferris Wheel ride at the Prater. Fortunately, this Ferris Wheels saga hasn’t had the same tragic ending, but, in any event, Harry Lime disappears from Holly Martin’s life. The crusade comes to an end. I would also seem to have been “disappeared” including by some uncritical clients but thankfully understood and respected by others who have stayed accepted by Ferris Wheels. I have not the slightest issue with the latter. In fact, I have no personal issue with either Mike or Denise. I simply have a professional issue with Mike’s actions to clients, which could have been so easily resolved and still could be. "The dumbest thing you'll ever see on a tour. Innocuous but dusty gravel road, lady rider dumps it. Male rider travelling too close to see through the dust, goes barrelling into her. Even dumber because they're husband and wife both in their 60's, old enough for him to know better, you'd think. Two injured riders now in the car, two trashed bikes on the trailer. One somewhat irritated tour leader..."
It's hard to decide what is the more offensive: that a paid service provider and tour operator would publicly hang out to dry two of its clients, openly maligning one of them; or demonstrating that his personal inconvenience and annoyance take precedence over any concern or caring. I added a comment to the effect that expressing concern and care might have been more appropriate than irritation. Wow! Did that get a petty and spiteful response. Robert Crick Concerned and caring might have been a better response than irritated! Ferris Wheels Motorcycle Safaris Thanks for dropping by out of the shadows Robert, with your usual contribution. I did the concerned and caring, when required. I was then irritated but this has passed. The accident was almost as stupid and avoidable as some of yours, but required less time at the hospital. Some considerable time later, it was drawn to my attention by a friend from the "Ferris Wheels Diaspora" that these postings were a subject of discussion, concern and consternation at the Wodonga Ulysses AGM; and that, as a consequence, a posting had been removed. It was later obvious that the removed posting was the rather spiteful one referring to me personally. At least, some semblance of decency seemed to have prevailed.